Do you live in South Bend, Indiana and are tired of all the clutter in your home and don’t want to even think about it? Let us take your junk off your hands! Just sit back and watch us whisk it away. We’ll be in and out in no time, leaving you with a fresher, cleaner, more breathable space. Without having to worry about all that junk, you can finally relax in your own home and who knows, maybe even invite some guests over. Here are a few of the junk items we’ll gladly remove. When one of your appliances breaks down, there’s no need to stress. Just give us a call and we will do all the heavy lifting for you. There is no refrigerator too massive, no dishwasher too clunky, no stove too bulky, for our expert haulers. We’re here to lend you a hand. Don’t know what to do with that broken old bike that has been sitting in your garage since the Paleolithic age? That’s where we come in. Call us and we’ll take that old hunk of junk right off your hands and make sure it is properly disposed of. And who knows? Maybe someday you’ll even be able to park in that garage of yours. Is that carpet starting to turn a different color? No one wants a musty old carpet sitting around. Give us a ring and we’ll make it disappear. You won’t have an unsightly rug in your front yard while you wait for the trash truck and you don’t have to worry about whether or not we’ll take it. We will! That couch didn’t use to sag like that did it? If it’s not good enough for you, it’s not good enough for us. With one phone call, it’s out of there. From couches, to desks, to entertainment centers, we’re happy to help you with all your furniture removal needs. We have a team ready to lift any heavy furniture that needs to be disposed of. Do you have, well, just plain... trash? If you have an overabundance of trash, let us take it off your hands. We’re not afraid of the smelly stuff. Our goal is for you to be able to live in harmony with your surroundings without having to do any of the work yourself. Sometimes, trash builds up faster than even the local garbage man can keep up with. But we don’t mind. We’ll take it all. That old dishwasher isn’t quite up to par with that new refrigerator of yours, but not beat up enough to toss just yet? We can help with that. We recycle old appliances, creating a greener and more beautiful environment for all. Count on us to put your old stuff to good use. And don’t worry about straining your back. We’ve got you covered. Electronics these days have a lifespan that is shorter than the time it takes you to finish this sentence. If you’re ready for an upgrade we will take your old computers, gaming systems, cell phones, you name it, and give it a new life. No need to throw something out that can still be put to good use. With our services, you won’t need to go through the ordeal of trying to find and travel to various shops that will take your electronics. You won’t need to ship them away. All your needs will be cared for with our team at South Bend Junk Pickup. All you have to do is give us a call and we’ll do the rest. Is your hot tub taking up a lot of space and no one ever seems to use it? Or has it already busted down? Let us alleviate you of the hassle of removing such a bulky object. Here at South Bend Junk Pickup, the bigger the better. Hot tubs are heavy and can be tricky to maneuver. We don’t mind though. We love to get our hands dirty. If your mattress has seen better days, we will dispose of it for you so that you can finally relax. Not many people are willing to buy old mattresses, especially if they are in bad shape. But don’t worry. Get comfy, because we are not letting you sleep one more day on broken springs. Let us rid you of your burden. We will get that old refrigerator out of the way for you. We are strong, we are able, and we are willing. Nothing makes us happier than to do the heavy lifting and to see your clutter melt away. What could be a huge, exhausting project for you will be no problem at all for our team of hefty lifters. 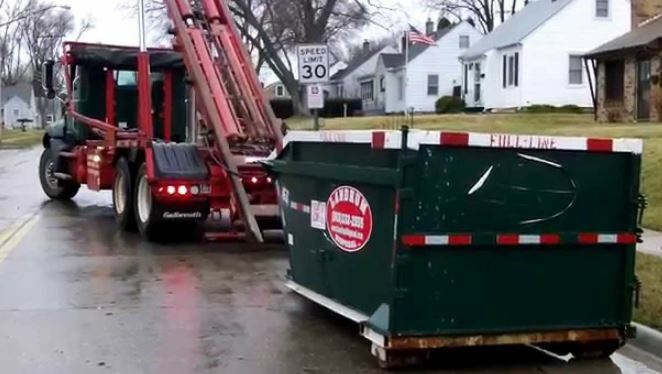 Don’t worry about a trip to a drop-off center for your scrap metal. We’ll come by and pick it up for you. Does your recycling company only accept certain metals? That’s what we’re here for. We’ll take metal of all kinds. Just dial us up and your scrap metal will be disposed of in no time. Televisions are one of the trickiest things to get rid of. Especially if you have an old T.V. that contains chemicals that are harmful to the environment. But we at South Bend Junk Pickup will make sure your television is properly disposed of. That way, not only will your home be cleaner, but the world will be a cleaner place too.